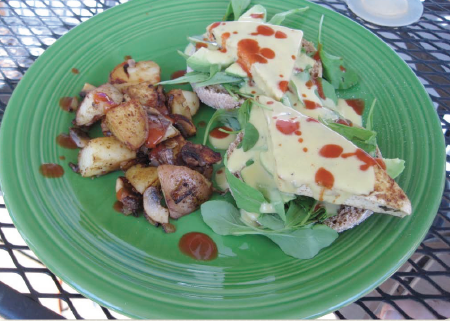 One of my favorite breakfast to get out as a vegetarian was the California Benedict at Sneakers in Winooski, VT. Since becoming vegan I have tried to recreate the dish to be as similar as possible and I finally made something tasty and very similar. This is wonderful for any meal but I love to serve at brunch and both veggies and omnivores have been known to love this dish. In a medium bowl, mix together the vegetable broth and red wine vinegar. Whisk in the chipotle powder, cumin, garlic powder, thyme and nutritional yeast, if using. Place the tofu slices in the broth mixture and marinate for about 30 minutes. In a medium bowl mix together the milk, lemon juice, margarine, cornstarch, vegetable broth and nutritional yeast, if using. Season the milk lemon mixture with pinches of salt, black pepper and cayenne pepper. Stir to combine. Prepare a skillet with a light coating of olive oil or cooking spray. After the tofu triangles are done marinating, place the skillet over medium-high heat. Add the tofu triangles to the skillet and cook for 5-7minutes, or until the tofu begins to brown. Flip the tofu triangles with a spatula and cook 5-7 minutes on the other side or until both sides have browned. Top each side of the toasted English muffins with 1/2 cup of the arugula and 2 slices of avocado. Top the avocado with 1 piece of tofu and a drizzle of the Hollandaise sauce* per side. Complete the dish with a few drops of hot sauce, if using, and enjoy. * If a significant period of time has passed between making the Hollandaise sauce and plating the Avocado Tofu Benedict, warm the sauce on the stove over low heat before serving. You may need to add a bit more milk to thin the sauce during reheating. This looks great – I’ve been wanting to try to create a vegan version of Eggs Benedict, so I’ll have to give this a try. 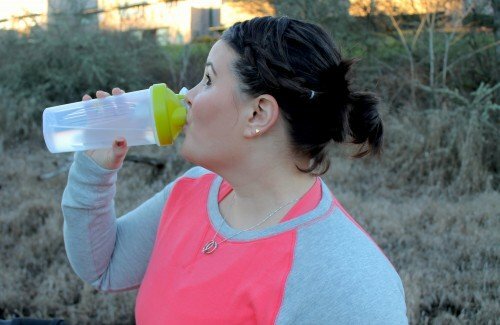 One of my favorite breakfasts before making the switch! Tofu and Vermont, what more could you want? Yummmm. This one looks like a winner. I need to throw a brunch party and put these together!